Content: There’s some scary moments… but it is a ghost story, so that’s pretty par for the course. It’s in the middle grade (grades 3-5) section of the bookstore. Hannah is the middle child of a big Irish family, who has just moved into a large, old mansion in northern Georgia. She finally gets her own room. She’s turning 12. And even though her best friends are leaving for camp and London and her older sister is a bit of a bear, she’s determined to have the best summer. And when she meets the mysterious Cady in the forest, she knows it’s bound to be great. But then Cady gets possessive and controlling. And mysterious things start happening at the house. And Hannah’s brother, Scooter’s asthma gets worse. What, really, is going on here? You know it’s a ghost story going in (because it’s part of the Hauntings series), which is fine. 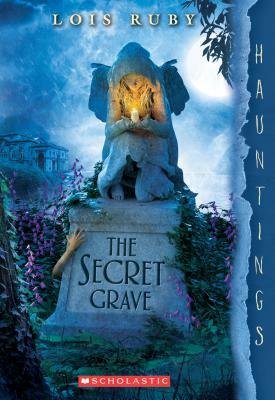 There’s a couple of ghosts, one which is spelled out, and the other which is obvious (at least to me), but the big reveal is held until later in the book, which annoyed me as an adult reader (though I wonder if more observant kids would mind). The characters grated on me; then again, I’m the oldest and it’s been a long while since I was a kid, so I don’t know how I would have felt, had I been in Hannah’s place. That said, I liked that there was a good family surrounding Hannah (don’t often get that), and that the conflict took place in spite of her parents, not because of them. While I found the ending to be a bit, well, cheesy, I did appreciate that there were consequences and that Hannah and Scooter tried to solve the problem, rather than just letting it be. Not a bad book, just not for me.